If you owe taxes to the state and federal government, it can be a big headache. If you are looking to resolve your unpaid taxes, tax debt relief options can help. You need to work with an experienced tax debt resolution specialist in Florida to develop a suitable payment plan. Speak to a Tax Expert about Florida Tax Debt Relief. Contact us now! What Happens When You Don’t Pay Federal & Florida State Tax? Addition of tax penalties, in the form of higher interest charges and late penalty fees, to the outstanding amount. Filing a levy against your assets such as real estate, car or your bank account. The government may impose a tax lien on any of your property that has significant value. You cannot sell this property, unless the tax debt is resolved. You can work directly with the Florida Department of Revenue and the IRS to resolve your tax debt issues. However, it is recommended that you hire a tax debt resolution expert. Here’s what you can expect, when you choose to work with Tax Defense Partners. Analyze your past tax returns and verifying whether the tax bill is accurate or not. Evaluating your finances to determine how much you can pay to the IRS on a monthly basis or in a single lump sum. When should I hire a tax debt attorney? You may want to hire a tax debt attorney in Florida, if you owe back taxes, are being audited or have received notices from the IRS. It needs to be done before more penalties and interest charges pile up on your existing tax bills. I am a business owner and I am unable to pay my quarterly payroll taxes. What should I do? Late payment of payroll taxes can result in penalty fees. It can get worse after a certain period of time, and you may even face legal prosecution. The best choice you have in this situation is to consider hiring a tax debt attorney, who can help you negotiate with the IRS and find the best possible solutions to resolve your payroll tax debt. My ex-spouse owes back taxes. Am I responsible for his or her missed payments? If filing a joint tax return was a mutual decision, you may be liable for the accumulated tax debt. If your signature was forged without your consent, you can apply for Innocent Spouse Relief. Hire The Best Tax Debt Defense Team in Florida Today! Looking to take the first step toward solving your state and Federal tax debt problems? Nice move! Let Tax Defense Partners help you improve your financial situation. 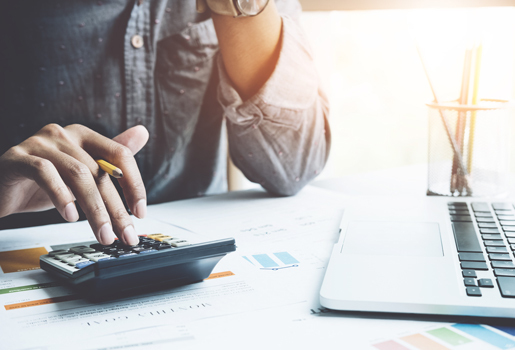 Give us a call at 800-600-4300 or schedule a free consultation with us to connect with one of our tax debt resolution experts.